It is being made by StudioCanal, the same company who made the movies, and will air on Nickelodeon's networks worldwide in 2020. David Heyman who produced the Paddington films, as well as all the Harry Potter films, will be the series' executive producer. "It is a joy to bring this uniquely life-enhancing bear to a whole new audience of younger children. 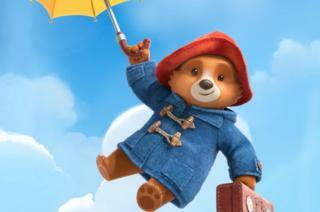 We are thrilled that the inimitably brilliant Ben Whishaw will continue to voice Paddington," he said. Each episode will see Paddington writing to Aunt Lucy from Windsor Gardens telling her what he has learnt about life from the day's adventures. The story of the Paddington 3 film is currently in development with StudioCanal and Heyday.